They say Nebraska's football coach, Bo Pelini, has issues. Perhaps so. Then again, maybe not. But if you're asking me where you go to find the real mental cases in the Big 12 Conference, I'd say you need look no further than league headquarters in Irving, Tejas. Like the saying goes, everything's bigger in Tejas. That would include the whack jobs. Who have been given the keys to an entire conference. Holy crap. Dallas police now say they are not investigating alleged threats against Big 12 Commissioner Dan Beebe, although they are continuing to provide extra patrols by his family home. A Dallas Police Department spokesman had said earlier this week that the agency was investigating a report of multiple harassing calls and mail to Beebe’s home. But the spokesman, Sr. Cpl. Kevin Janse, said Thursday that that was a mistake based on a misunderstanding by officers who had been flagged down by Beebe’s wife. She told the officers that the family had received threats and was concerned, Janse said. Police initially thought the messages had gone to Beebe’s Dallas home, he said. They later determined that they had not gone to the family’s home, but instead were received at Big 12 offices in nearby Irving, Texas, outside Dallas. Irving has its own police department. Asked for a copy of the report from Beebe’s wife, Janse said there was no written crime report. Big 12 officials could not be reached for comment Thursday. Earlier this week, Big 12 spokesman Bob Burda said the matter had been reported to “the authorities,” but declined to name the agency. He said he couldn’t provide copies of the alleged threats because they were under investigation. CAN NEBRASKA just leave the Big 12 right now? I'm thinking that the farther away NU is from these batsh*t-crazy drama queens, the better. 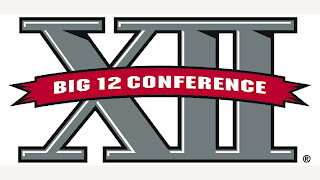 Seriously, somebody needs to pat down the Big 12 brass before the game. If the Huskers start doing too well, you don't want any conference officials stopping a pick-6 with a 30.06. Or pulling a Jack Ruby at the trophy presentation. Because, apparently, that's just how Tejans roll. Just remember, Huskers. It's The Longest Yard out there, and Eddie Albert is being played by Dan Beebe. Watch your back when you go to retrieve the game ball.